Richard William Rudmann, age 84, of Elmwood Park, NJ passed away on Tuesday, January 22, 2019. Born and raised in Brooklyn, NY, he moved to Fair Lawn in 1961 and to Elmwood Park in 2000. He earned both his Bachelor’s and Master’s Degrees in Electrical Engineering from the Polytechnic Institute of Brooklyn. A faithful member of Our Savior Lutheran Church in Fair Lawn for more than 55 years as Treasurer, head Deacon an usher and a member of the choir. He also served as trustee of the Radburn Association. 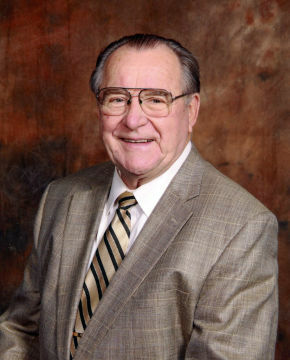 An avid golfer and bowler who achieved a perfect game of 300, Rich also enjoyed photography, classical music, concerts and spending time with family, especially his grandchildren. Prior to retiring in 1994, he was an electrical engineer with IT&T in Nutley for 35 years. Beloved husband of Arlene (Schoenbein) Perna-Rudmann and the late Barbara (Wenzel) Rudmann, who predeceased him in 1995. Richard leaves behind his daughter Catherine Nugent of Fair Lawn, her husband William and their sons Dan and Chris, as well as Arlene’s daughter Linda Damato, her husband John and their children Kristina and Billy. Richard is also survived by his sister Ann Wagner. The family will receive relatives and friends Sunday, January 27, 2019, 2-6 pm at Vander Plaat-Caggiano Funeral Home. A funeral service is planned for Monday, January 28, 2019, 10 am at Our Savior Lutheran Church, 22-15 Broadway, Fair Lawn, NJ 07410. Interment will follow at George Washington Memorial Park in Paramus. In lieu of flowers, donations in memory of Richard to Our Savior Lutheran Church Debt Fund would be appreciated. A good a man, always kind and friendly. It was a honor to Richard.